Small Improvements has made a striking impression in the past four years. Its customer base has doubled since early last year, growing close to 500 customers right now. And they’ve done it all without the help of venture capitalist funding. 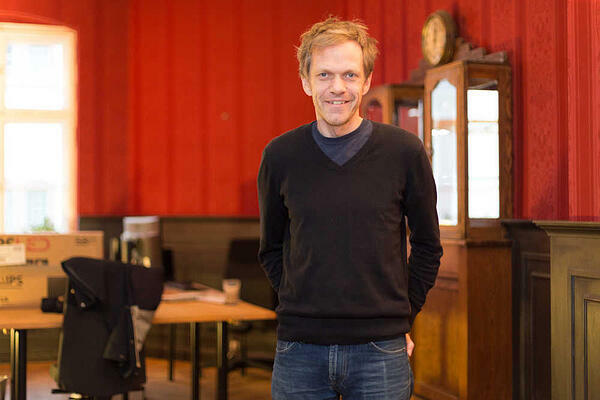 To find out more about how this Berlin-based startup was able to bootstrap its way to success, we spoke with Per Fragemann, CEO of Small Improvements. The idea for Small Improvements formed when Fragemann was working for Atlassian, a software company in Australia. The company used innovative tools for almost everything, but Fragemann saw a need in one particular area: performance reviews. The review tool didn’t measure up to the other advanced tech tools Atlassian used in every other aspect of the business. But, to Fragemann’s surprise, it was the best tool the company could find. “If Atlassian can’t find something proper, then maybe there isn’t anything proper,” he thought. That thought sparked the idea for Small Improvements. He focused on that pain point and began developing ideas to alleviate it in 2009. 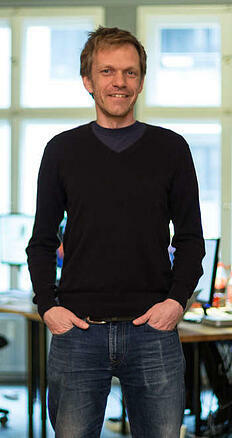 Fragemann moved back to Germany in 2010, leaving Australia and Atlassian behind in pursuit of his new idea. With $50,000 of savings in the bank, his plan was to manifest Small Improvements into reality. He developed a six-month plan for coding prototypes of the platform. Instead of approaching friends or previous colleagues, he chose to go at it alone until he could be more convinced it would be successful. “I didn’t ask anyone to join me in this product because I guessed people would have just given me blank stares and say ‘what?’” explains Fragemann. Instead, as the platform began to take shape, he took a more frugal route and hired students to help him accelerate development. Once Fragemann had a final prototype, he brought it to Atlassian, and pitched them the product. Eventually, Atlassian jumped on board, but not without giving Fragemann a “wish list” of improvements to make, and subjecting the prototype to a “beauty contest” with two other tools that had sprung up. From there, Small Improvements’ customer base grew by word-of-mouth, with a little help from Atlassian, a very satisfied customer. It’s rare to see startups achieve such success without VC funding, but Small Improvements models the exception. Opting out of financial backing from influential investors, Fragemann refuses to give up his team’s freedom to hire meticulously and grow at their own rate. Though this method is not the easiest. About 12 months into the Small Improvements timeline, Fragemann’s bank account was quickly approaching $0. Business expenses and monthly stipends he paid students to work for him added up. Because Small Improvements’ client base was on the brink of multiplying, things quickly turned around. These days, with a stable bank account, Fragemann sleeps better. Though, the pressure to keep innovating and improving his product hasn’t been lifted. As part of Small Improvements’ unique brand promise, customers are never locked into a contract. If a customer doesn’t like the product, Small Improvements will give them their money back. Under these circumstances, it’s no surprise Fragemann says he feels like he’s still bootstrapping. The Small Improvements team is made up of 16 employees living across the globe. Eleven team members work from the main headquarters in Berlin, while the director of marketing and an app developer reside in Sydney. Three customer success team members work remotely in the U.S. — two in San Francisco and one in New York. The whole team meets in one location at least once a year. During meetups, the Small Improvements team likes to go hiking, engage in hackathons, and attend industry workshops together. Other times, the team takes road trips to visit customers in person. This provides engineers the opportunity to talk to customers face-to-face, which they don’t normally get to do. This is one way they acquire authentic feedback and gain a more comprehensive understanding of how to improve their product for their customers. 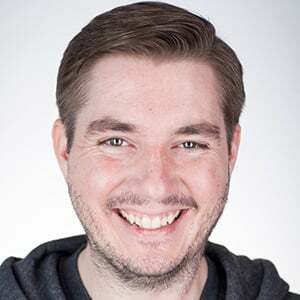 Fragemann hopes to increase team meetings to twice a year, but for now, he is making arrangements for his distributed team members to live in Berlin for a few weeks to a month to experience what it’s like to work in the headquarters. And they might not want to leave when they see the new office Small Improvements’ Berlin team calls home. This historic building was once a designer clothing shop, with a private shopping room upstairs, where the Small Improvements office space is located. This space was once used as a private dressing area for the wealthy and famous. Dramatic red walls and ornate decor make this an inspiring atmosphere for the team to gather and brainstorm ideas. It’s fitting for a team that spends most of its time sharing ideas with one another. Fragemann notes communication and transparency are key to his company’s successful culture. With members distributed abroad, the team uses communication tools like HipChat, Confluence, Trello, and Skype. Blog posts are used to share news internally. Fragemann notes his ability to maintain a strong company culture across the world stems from his selective hiring process. The company seeks out nice, intelligent people who have a knack for getting things done, and they’ve refined their interview process to help reveal good suiters. First, they invite candidates in for a casual chat with coffee. There are no technical questions asked here, only questions to reveal personality. Then once a person makes it through to the final round of interviews, they are invited to take a two-day paid audition working for Small Improvements. They are paid an hourly rate to work on a project with the team, and during this time they can ask questions and receive feedback. 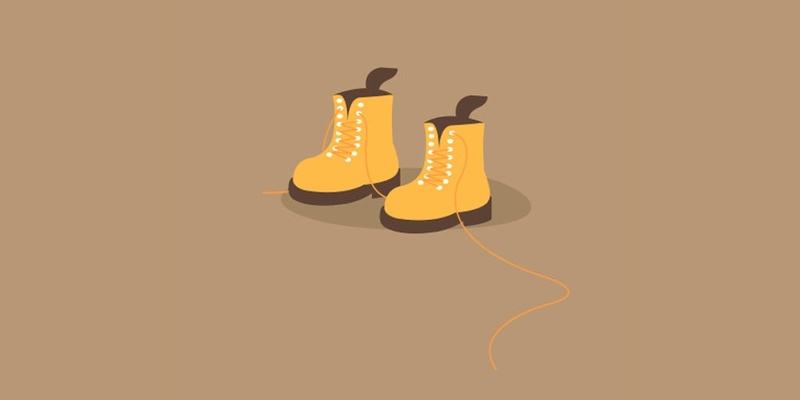 These methods have proven successful for retention. Small Improvements has never had to fire anyone during the probation period. Small Improvements is redefining the review process at companies including Pinterest, Disqus, and Quicksilver. More recently, the platform has begun helping drive the performance reviews of a few new customers including SoundCloud and Buffer. “We’re making it a lot less painful to conduct reviews,” says Fragemann. Small Improvements uses a concise review form, which gathers feedback based on only five questions. The streamlined process forces HR to include only the most important information in the review. It was developed to encourage companies to conduct reviews more than once a year, so employees can get more frequent, timely feedback. “Timely feedback is much more useful because you still have time to react and improve,” says Fragemann. With the convenience Small Improvements brings to performance reviews, Fragemann hopes to see a shift in how often performance is measured. Additionally, Fragemann notes the peer-to-peer aspect of feedback is what makes performance review tools like his so valuable. For that reason, he advises everyone to strive for building performance reviews from more than just managerial feedback. Inspired by colleagues past and present, Fragemann will continue to develop Small Improvements, leading the charge for better workplace performance culture. Do annual performance reviews make you cringe? Try something better. We test drove Small Improvements at Bonusly, and never looked back.